Ultra Life is the company that has developed and manufactures the Synergistics product range, designed to support the specific metabolism of each individual as determined by the Healthexcel System of Metabolic Typing®. 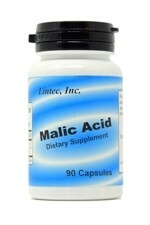 Within this page we have listed their most popular liver cleansing products, such as Malic acid and Ultra-Phos which are popular in the preparatory stages of a Liver flush, according to Andreas Moritzs book. 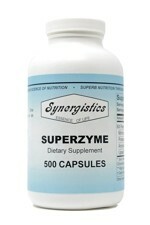 Superzyme 500mg is a professional high dose clinical enzyme supplement. This larger value pack of Superzyme 500mg (500 Capsules) contains 8 times concentrated Pancreatin and Lipase extract per capsule, yielding a minimum of 100,000 Protease units, 100,000 Amylase units, 25,000 Lipase units plus naturally occurring Trypsin and alpha-Chymotrypsin. Use as directed by your certified healthcare professional. 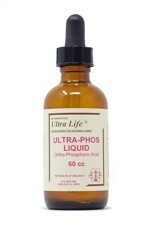 This bottle of Ultra-Phos Liquid (60ml) has been designed for use in the preparatory phase of the liver and gallbladder flush, in conjunction with Malic acid, as discussed by Andreas Moritz in his books on the subject. Contents Each bottle contains approximately 1,200 drops. Each Drop Contains: Ortho-Phosphoric Acid 13mg; Choline Bitartrate 0.27mg; Inositol 0.57mg Serving size: Use 15 drops in 240ml water. Each bottle contains approximately 80 Servings Directions for Use Use as directed by a certified healthcare professional.